This Little Lamb from Bethlehem game is so darling! It goes right along with the book, and I’m so excited to share it with you guys as a free printable download. I have been trying to come up with ways to make our Christmas season more centered around the Savior. Don’t get me wrong, we love all of the fun and festive traditions that come with Christmas, but I wanted to add a little more magic while remembering the birth of Christ. I found this cute Little Lamb from Bethlehem book from Deseret Book and I am in love with the idea behind it. This is a lot like The Elf on the Shelf, except it is centered around the birth of Jesus Christ. The little lamb from Bethlehem comes every year around Christmas time, and brings this cute little book with him. He tells a story of how he was there when Jesus was born. The little lamb stays at our house all year long to remind us of the true meaning of the season. 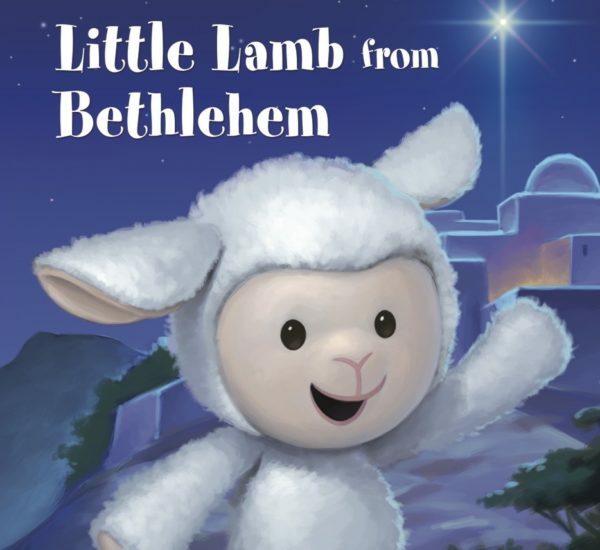 The best part of the little lamb from Bethlehem is that you can do whatever you want with him- you can hide him every night (or not), your kids can touch and play with him, you can do different acts of service or activities every day with him. I thought it would be cute to take pictures with the little lamb as you perform different acts of service. Basically, you get to decide how in-depth you want to go with this little lamb, which I absolutely love! Since this is going to be the first year our family has a little lamb staying with us for the holiday season, I wanted to come up with a fun idea to help my kids understand how the little lamb from Bethlehem can help us become closer to our Savior, Jesus Christ. So I came up with this fun Little Lamb from Bethlehem game. And I want to offer it to you guys as a free download (look for the download link below). Basically, you are trying to get the little lamb closer to Jesus in Bethlehem. The little lamb gets closer to Jesus by doing kind things, performing acts of service, or participating in activities that bring the spirit into the home. Every time the child completes a task on the game, the little lamb gets another step closer to Jesus. I love that this game can be totally customized to your situation. I have 4 kids with different needs, so each of them can fill in their own game to fit what they will be able to do. Or I could fill it out for them, depending on what I think we will have time for. It’s really just up to you how hard or how simple the task are. And you can decide if the children can do all the activities at once, or if you split it up between different days. I really wanted this game to fit into the lives of busy families like mine. I hope you love it as much as my kids do. In the printable pack, there are 4 different sheets of paper. You do not need to print each sheet of paper. For each child, choose one page to print between pages 1, 2, and 3. Page 4 is optional. The first is a game board with the steps filled in, so you can simply print out the paper and get going on the game. The second is the same game board, with the steps left blank, so you can fill it in yourself. 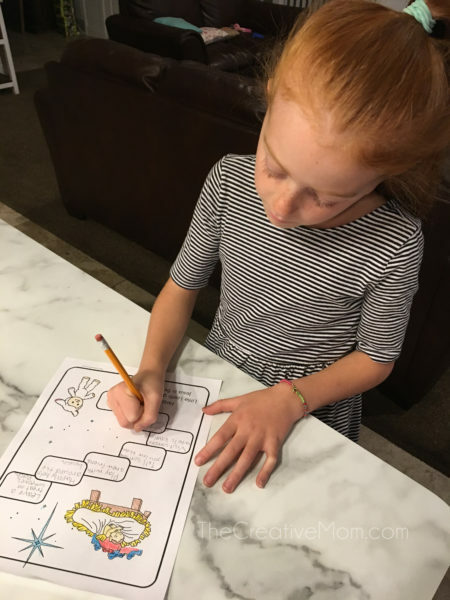 The third sheet is a black and white version, so your child can color the page and fill it all out themselves. The fourth sheet is completely optional. If your child would like to cut out different ideas and paste them on their game board; they can also cut out the little lamb and move him along his path as they complete their tasks. 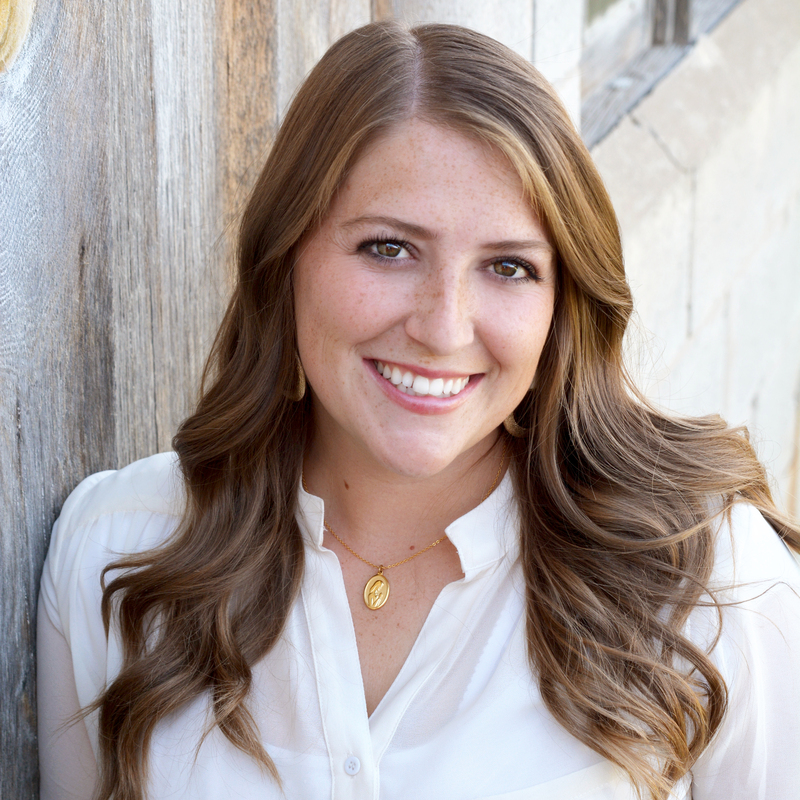 Disclosure: Deseret Book gave me a free book in order to write this blog post. All opinions are my own. Your download link is sending me to another page not to the printable.